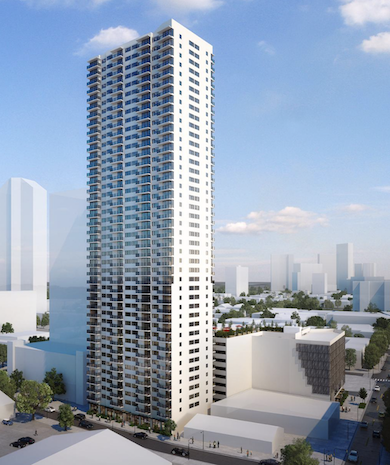 Hokua was Kakaako’s only real luxury project for a while. Today we have a few other options right around the corner, but most Hawaii residents know Hokua because it was the first. Built on the first row fronting Ala Moana Beach Park, the building features unobstructed views of the Pacific Ocean. Prices remain high on the front row because those are the only buildings guaranteed to have unobstructed ocean views in the future. Developed by local developer MacNaughton Group and Kobayashi Group the building has a shallow v-shape. Units on the east side of the building have great views of Diamond Head and units on the west have great sunset views. The best unit in the building is the “D” unit. It sits at the point in the V and features both sunset and Diamond Head views. The Amenity deck was built with luxury in mind. BBQ cabanas were designed to accommodate very large parties (25+ people). A large infinity pool sits on the ocean side of the deck overlooking the park. A Tennis court is available for active residents along with a very large stat-of-the-art fitness center overlooking the ocean. Two dog parks, one for smaller dogs one for bigger dogs, can be found on the deck as well. There is private terrace for entertaining large parties that flows seamlessly to the outdoor deck. The sheer size of the deck is what is most amazing to me. Everything is so spread out that it often feel like you’re the only outside. The concierge service is something very unique to the building as well. Running late for a meeting? Call down and have them bring your car around. They will even help you bring your groceries up to your unit and then park your car for you, how’s that for service? 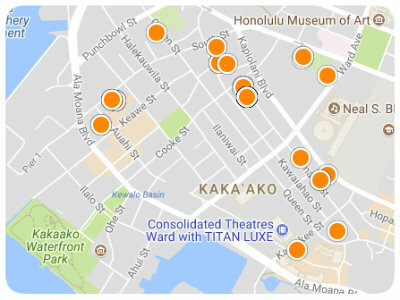 The immediate neighborhood around Hokua is what Kakaako living is all about. Wide manicured sidewalks, quick access to coffee shops and restaurants, and literally across the street from Ala Moana Beach Park. 5 minute walk to the future Whole Foods Market and wold-famous chef Nobu will be opening a restaurant nearby. Core Power Yoga is a 30 seconds walk from the your lobby door or go for a surf across the street. 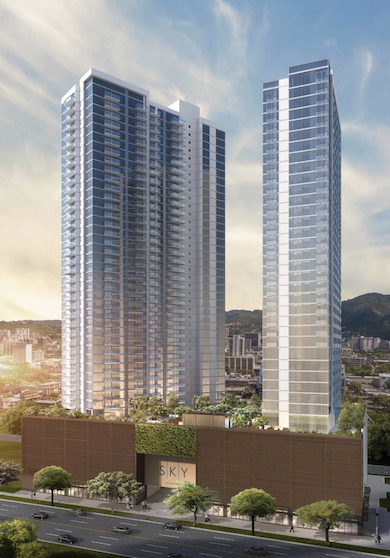 Hokua is in the most completed part of Kakaako and it’s next to two luxury towers that should be completed by the end of next year. This will only improve the walkability of the area and attract more shops to the neighborhood. Large layouts, high-ceilings, unobstructed ocean views, and high-end appliances what more could you ask for? The units in Hokua are simply stunning, perhaps the newer residences of Anaha and Waiea coming up right down the road will make Hokua feel slightly outdated. Though, only being 10 years young, Hokua was originally built with the best of materials and designed in a timeless way so I believe it will remain a desirable building for many decades to come.